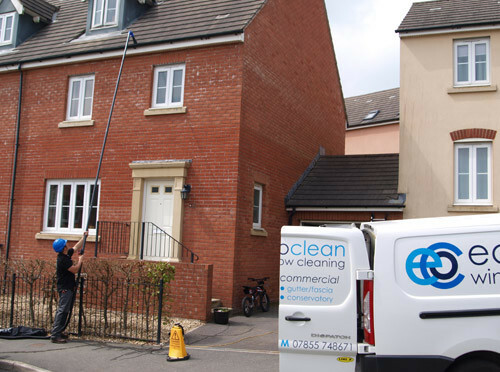 Gutter & Fascia cleaning is a service we here at Eco Clean Window Cleaning have been offering for many years now along side our residential window cleaning service. Cleaning gutters is something that individuals and businesses recognize as a very important part of building maintenance. Gutters are typically added to buildings to help ensure the rainwater is directed to a location that is safe and convenient. When the gutters get clogged up they will begin running over the sides which can have a variety of negative consequences. Our equipment includes the SkyVac Gutter Vacuum. This provides a more safe environment for our team as rather than the use of an unsteady ladder we are able to connect our high reach poles to the hose and complete the task from the ground! 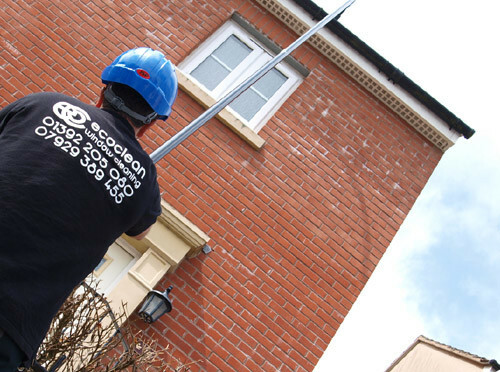 Beat the winter and remove those autumn leaves from gutters and downpipes. Some people don’t realise that a good gutter system can help protect the foundation of any home or business by keeping the majority of the rain water away from this area. Without a working gutter the water will often fall directly to the foundation area and sit there for hours or even days which can significantly reduce the lifespan and safety of any building including your home. In addition, when the water from rain is running over the gutters there is no way to predict where it will land. This often means that you will get a downpour in the most inconvenient places such as right over your doorway! The most overlooked home maintenance issue - Gutter and Fascia Cleaning! Some of our customers want their gutter and fascia cleaning done regularly, and others might only need it once or twice a year. 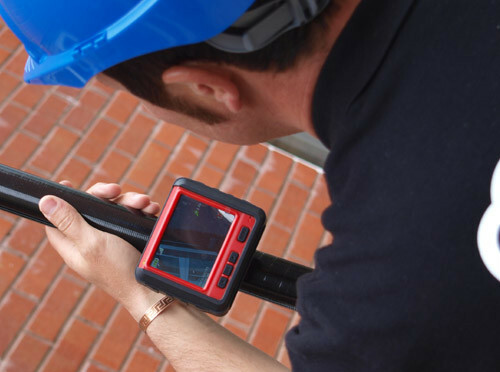 Once we have inspected your gutter system we will recommend how often it needs our service so you won’t have to worry about your gutters ever again. We will ensure they are always clear of all types of debris and working properly to keep your home or business safe and looking great. If you have any questions about your gutters, or any other services we provide please don’t hesitate to contact us.